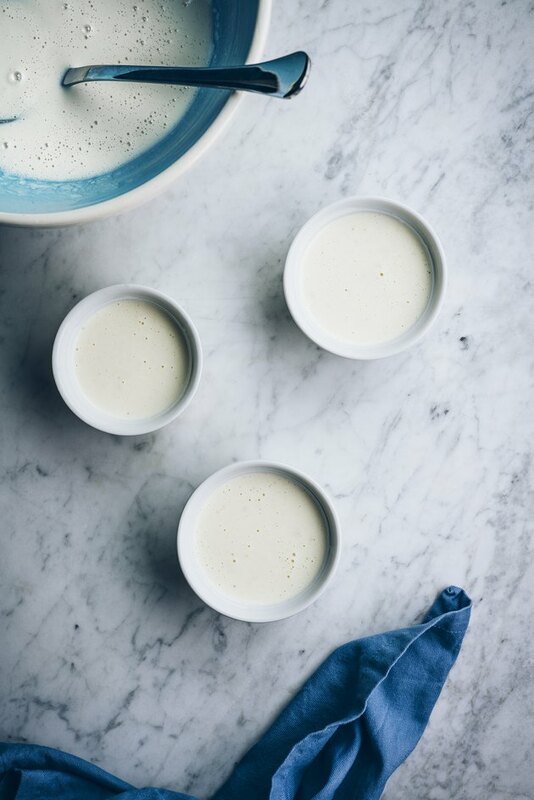 Panna Cotta is a delicious dessert—a rich, chilled sweet cream that's sure to impress. 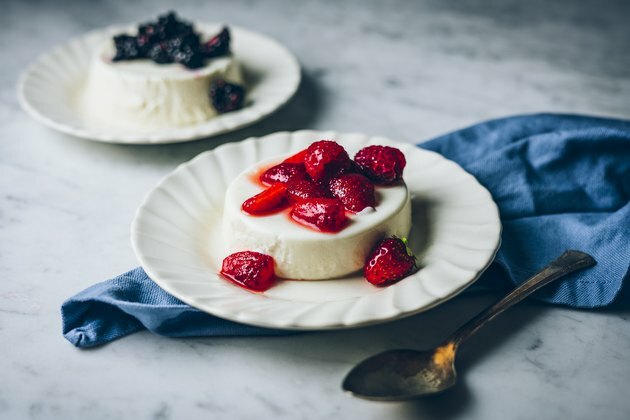 Originally hailing from Italy, this dessert is traditionally made with a combination of heavy cream and milk for a delightfully silky creation. This version captures the essence of this classic dessert but lightens it up with the addition of some tangy, creamy Greek yogurt. Add the 3 tablespoons of water to a small bowl and sprinkle the packet of gelatin over the top. Give the gelatin a quick stir, and set aside for 3-4 minutes so the gelatin can bloom. 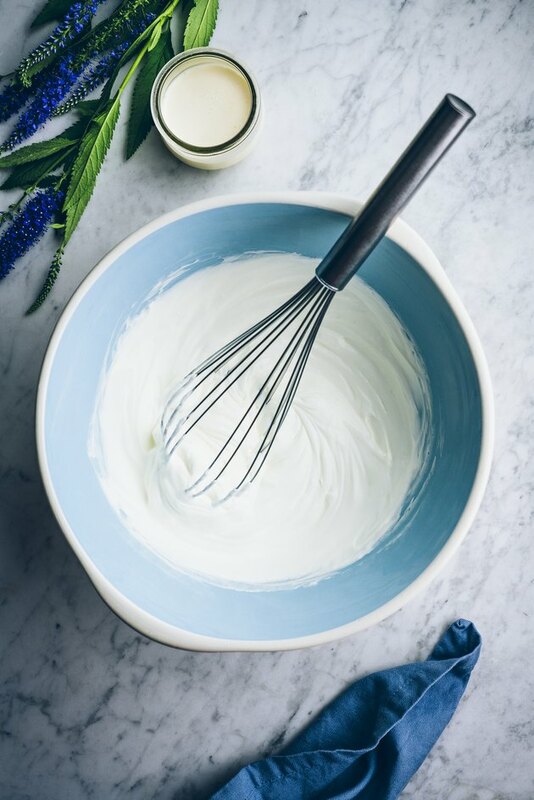 Add the greek yogurt and the heavy cream to a medium bowl and whisk together until smooth. Add the sugar and milk to a saucepan and over medium heat. 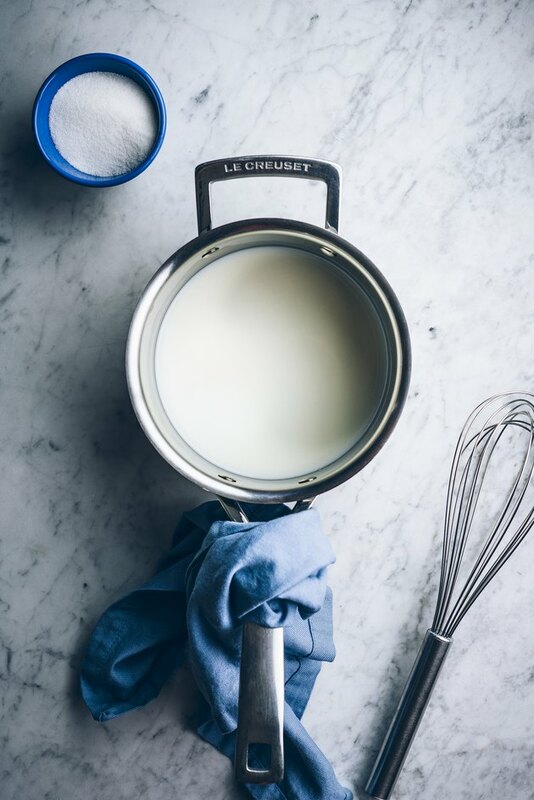 Allow the milk mixture to come up to a gentle simmer, then immediately remove from heat. Add the softened gelatin to the saucepan and whisk until fully dissolved and the mixture is smooth. Slowly whisk the warm milk mixture into the greek yogurt, followed by the vanilla extract, and salt until combined. Ladle half a cup of the mixture into the 7 ramekins, loosely cover with plastic wrap, and place in the fridge until set (about 4 hours) or store overnight. 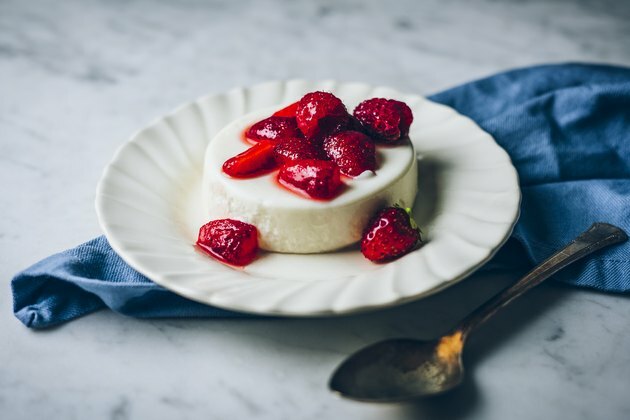 Serve the panna cotta in the ramekin, or remove from the dish by running a knife along the edge of the panna cotta and invert it onto a plate. Top with sliced fruits of choice and enjoy. You may have to tap/shake the ramekin a bit to loosen the panna cotta. How Far in Advance Can You Cook Creme Brulee?